The United States workforce is represented by two separate, yet equally important groups: those who plan on keeping their job for the long haul, and those who are biding their time before becoming the Next Big Thing. These are stories from the second group. This was only my second job, and to this day one of the longest durations I've ever withstood at a job. If I remember correctly I got it through a university-only classified site. I'm not sure. This is pre-Craigslist time, so my memory of how things happened back then are vague. There were two major departments at Hodges: circulation and stacks. Circulation sat at the front desk, checked out/received library books, and put the returns on carts in the back. My department, stacks, got those carts and took them up to our various floors to reshelve them. When that was done, we checked the stacks to make sure the books were all in order. 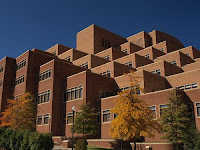 Hodges Library is six floors, and at the time home to over 2 million books. They use the Library of Congress system (vs. the Dewey Decimal system), so call numbers like PS1360.B64.1907 were not uncommon. Needless to say, walking down a row of books and making sure those numbers all line up can start to work on you over time. 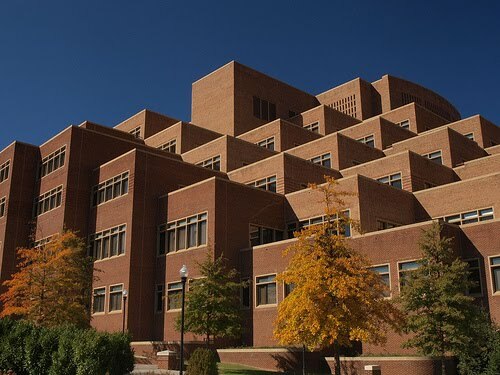 I started out in the spring semester on the fourth floor. This is where most of the books people were coming to read were located: fiction, plays, poetry, general humanities, fine arts. You know, all those fun things your parents don't want you to major in. Given my shorter shifts during the schoolyear and the volume of books moving in and out due to finals, most of the time I was just shelving. In the summer, the grind really hit. We'd finish shelving books within an hour, and I'd have six or seven hours in front of me of just walking down the rows, checking every shelf for out-of-place books. I tried bringing my Walkman in and listening to the radio. The signal was weak in the building. This is a job that would have been revolutionized with an iPod. In the fall, I was given my own floor (oooh!). They sent me to the sixth, and smallest, floor. I alone was responsible for maintaining order! This mostly translated to me sitting in the floor reading The Right Stuff, thumbing through arty photography books, and returning the medical photography books from the men's room to the stacks with a pair of tongs on a daily basis. I went home for Christmas at the end of the year, and upon returning to school I quit showing up for this job. I didn't tell anyone; I just quit going. Apparently they were expecting me for some crazy reason. In future posts, I'll tell you about the joy of living on my own for the first time, one of the strangest bosses I've ever had, and a few translation quirks with my coworkers. Colin Fisher is many things to many people, but mostly he's just an actor and a writer.